W9ZN's CW Warm-up: "Ben's Best Bent Feet"
I happened to come across this fellow's signal on 40 a week or so ago. His warm up routine really had me scratching my head. I've been on the air for a long time, much of it on CW, and I never heard anything like this. Listen to the video (!) and you will see what I mean. Harmless fun I guess, and there does seem to be a connection to radio history. On the G-QRP list guys have been talking about the Peregrino. This is a nice little homebrew rig out of Spain. Peregrino = Pilgrim and usually refers to people who are hiking along the Trail of Santiago that runs through the North of Spain to Santiago de Compostela. I'm normally averse to chips, but this little rig uses two very understandable NE602s and an equally understandable LM386. It has a homebrew crystal filter. I like it. GM4WZG came up with a really wonderful enclosure for his rig. 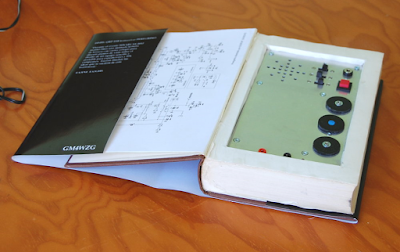 This reminded me of the time I put a QRSS transmitter inside a copy of "The DaVinci Code." Pete swears the rigs work better with this color. We are adding Sherwin Williams "Juliano Blue" paint to our investment mutual fund: Drake 2Bs, copies of SSDRA, QF-1 Q Multipliers and now, Juliano Blue! We'll all be RICH! 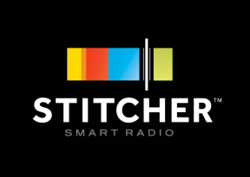 I've talked on the podcast about launching a worldwide campaign to require the reversal of ALL those little arrows on the symbols for transistors and diodes. You see, they are saying that electricity flows from the positive to the negative. Engineers apparently got that idea from Ben Franklin, and they are sticking with it. It is time for a change! Reverse the arrows! Down with CCF! Viva Electron Flow! Let's tell the truth! But here's a question for the philosophers and historians of electronics: When physicists decided to label the electron as "negative" this was an arbitrary choice, right? They could have just as easily decided to call it "positive" with the protons being called "negative" right? In this case all the arrows in our diagrams would not be in need of reversal, right? I've joked about homebrew cars -- we have a bumper sticker on Café Press that says "My Other Car Was Homebrewed From Junkbox Parts." Well, in this video Jay Leno shows us a true homebrew car, this one built by a 17 year-old in 1931. In the video you will hear some interesting comments from Jay on the kind of technical and mechanical skills that were expected of young men in the 1920s and 30s. At the end of the video, watch Jay suffer the consequences of replacing a 20 amp fuse with an 8 amp fuse. Who among us have not done something similar? Blue is the new Black! I think some smart paint manufacturer should put a trademark on "Juliano Blue." Yesterday I came across this very nice video -- I thought you guys would like it. 2E0VIR obviously has The Knack! I'm building a very simple LC VFO today. This is for the HRO Dial Receiver that I've been slowly working on. Mine is a Hartley, from Chapter 3 Figure 7 of SSDRA. Stay tuned! is also to get our general members (who like making things) into HAM radio. This beautiful old variable capacitor came out of a 1930's British regen receiver that I picked up years ago at the Kempton Park rally near London. When I rebuilt that receiver, I found that the cap was thoroughly stuck. No amount of solvents could loosen it. I put it in the junk box and used a more modern cap in its place. When planning for my current BIG VFO project (see yesterday's post) I re-read Frank Harris's chapter on VFOs. Frank recommended a non-linear cap -- actually a cap that maintains a constant percentage change in capacitance as it goes through its tuning range. My old British cap seemed to fill the bill. Also, it appears to be brass or bronze which is said to have better temperature stability. So I pulled the Brit cap out of the junk box. It was still stuck, but as I tugged on it a bit, it suddenly loosened up. Wow! TRGHS. When I tried to mount the capacitor in the QF-1 box, I discovered another problem: the nut for the main mounting screw was missing. And guess what: None of the nuts in my "big box of screws and nuts" (I know you guys all have one of these boxes) was the right size. Or, as Pete put it, all were of two sizes: a bit too big, or a bit too small. Dex ZL2DEX informed me that the needed nut was likely an "Imperial Whitworth" (Don't you love British names?). I started to think about how to get such an elusive part.... I thought about walking into Home Depot and asking them where they keep their Imperial Whitworths. This wouldn't have been productive. Then I started to wonder where the original nut went. It would have stood out in my junk box because it is brass-colored. I looked again in the junkbox. No luck. Then I realized that I might have used it to mount that replacement cap in my rebuild of the old British regen. I pulled that old beast (wooden chassis!) off the shelf. There it was, the needed brass nut. Cap and nut were reunited, problem solved. It is kind of fun to include an old part like this in the new project. Thanks Dex. 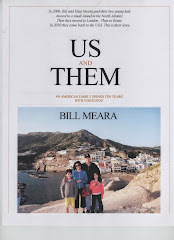 And thanks again to Frank Harris for the great book. Building a VFO. A BIG VFO. IF options? Once again, The Radio Gods have Spoken (TRGHS). An off-hand comment at the Manassas Hamfest, a bit of encouragement from Pete Juliano, and the next thing you know Armand WA1UQO has sent me this beautiful National HRO dial and reduction drive. This thing is so nice... Well, put it this way: this is the first time I'm building a rig around the dial! I'm thinking that this VFO will be the heart of a general coverage shortwave superhet receiver. I want filters for AM and SSB and I'd like it to cover 5 MHz to 10 MHz. I've been noodling various IF possibilities, but concerns about birdies and spurs keep driving me back to 455 kHz. I have a crystal-mechanical filter for that freq. And a big box of 455 kc transformers. What do you guys think of this option? I was on twenty today with my BITX, finishing up a rather disheartening contact with a fellow who told me that he is a "checkbook operator." I was trying to encourage this fellow to build something simple -- perhaps a Michigan Mighty Mite? He told me that he might give it a try, but only 16 years from now, after he retires. It was like a case of the Anti-Knack! Then Keith N6ORS saved the day by calling in with his beautiful MIN-X HOMEBREW transceiver. We had a nice talk -- Keith mentioned the beauty of Pete's "Blue Rig." That's HB2HB (phone) QSO #5 for me. Thanks Keith! so I stopped to listen and realized it was you! Well here was my chance for a homebrew to homebrew with 'the man' himself. I wanted to record it but missed the chance. Here is the Min-x boxed up. the case is made from thrown away computer cases. 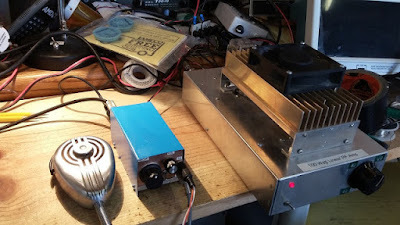 It runs about 70watts on 160,80 and 40 meters and about 35watts on 20 meters. I promise to write it up, maybe even draw a schematic. hihi. Ira Flatow of "Science Friday" was recently talking about how best to preserve important bits of the history of mankind's exploration of space. Our old friend Vanguard 1 was mentioned several times. 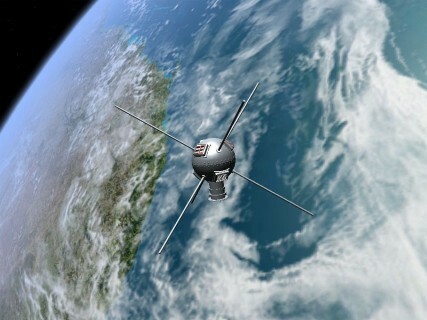 It is now the oldest satellite still in space. They also have a transcript of the show on the same page. This seems to be the month for Vanguard: just a couple of weeks ago, on 40 meters I spoke to Dale Parfitt W4OP. Dale was one of the first people to pick up Mike Rainey's Vanguard replica signals (see link above). I thought this was really clever, the kind of innovation that can make a big difference in the lives of poor people. 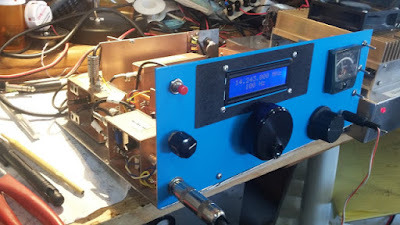 Jan sent me an amazing update on his Mate for the Mighty Midget Mk 2 receiver project. I'm really blown away by the skill that he brings to the mechanical phase of this project. This is a homebrew dial-string reduction drive using the end cap from a sewer pipe as the big wheel. Think about that. Amazing. Jan reports that with the mechanical work almost done, he is almost ready to start melting solder. FB Jan! Check out the video above and the photos below. At the recent Manassas Virginia hamfest Armand WA1UQO and I came across an old HRO receiver. Armand mentioned in passing that he had an HRO dial and drive for me if I wanted one. When Pete heard this he said I definitely NEEDED one. Armand heard Pete's comment and very kindly put an HRO dial and reduction drive in the mail for me. Wow, it is a magnificent thing! After years of struggling with small Jackson Brother reduction drives and with reduction drives brutally cannibalized out of innocent Heathkit Q multipliers, I now realize that I have been playing in the minor leagues. This, my friends, is the reduction drive that helped win WWII! I will have to build something worthy of its inclusion. The new radio was also designed by James Millen at the National Radio Company, but this time with two RF amplifiers and two IF amplifiers at 455 kHz with a 20Hz crystal filter. He kept the pluggable coil packs as part of the design and added the now famous epicyclic dial, which allows the operator to tune the frequency scale in 1/500th units (with the aid of a calibration chart). 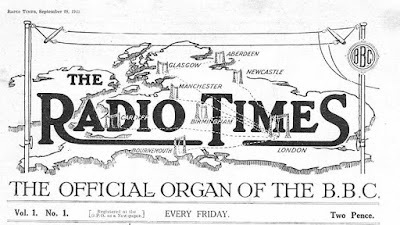 The design was finished in 1934 and National pushed hard to get the receiver out by the end of that year. When creating the tools for the first production run, the tool makers had to work overtime and used HOR (Hell Of a Rush) as a job number on their overtime slips. As National's marketing department didn't want their radios to become known as HORs (whores), the name was changed to HRO (Hell of a Rush Order). 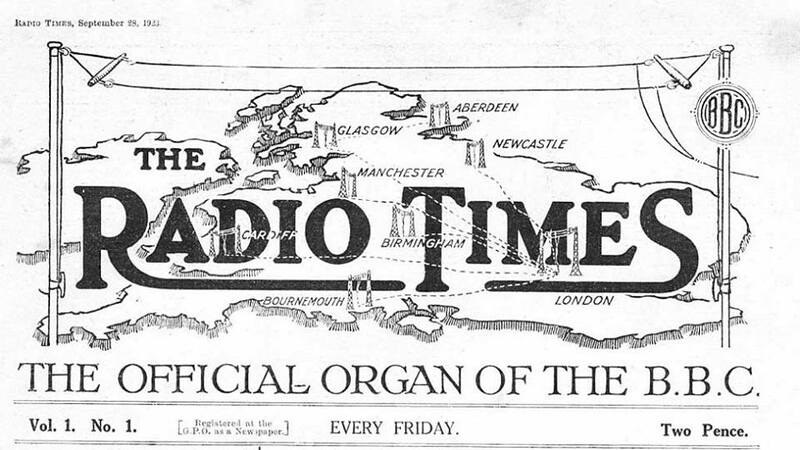 Despite the best engneering efforts, technical problems delayed the release of the the radio until March 1935. The price at the introduction was US$ 233. The HRO dial introduced by the National Radio Company in late 1934 was the hallmark of top-of-the-line National receivers from the mid 30s through the 60s. By late 1936 the "HRO dial" was appearing on the NC-100 series of receivers and even the 1-10, National's VHF receiver. Throughout WWII many of the NC-100 variants that National provided to the military used this same dial. By 1950 National had added built-in direct frequency readout to the HRO-50 but still kept the same 0-500 reading dial. Through the mid-50s and into the 60s National mimiced the HRO dial look on their mid-priced receivers such as the NC300, 303 and 270. Even the solid state HRO-500 introduced in the early 60s used a version of this dial. When combined with the required 20 to 1 venier gear drive, the HRO dial provided an effective scale length of 12 feet and was direct reading to 1 part in 500. Ten turns of the dial drives the tuning capacitor stop to stop. Published HRO calibration curves showed each ham band spread over eight turns (or 400 divisions). In addition, dial divisions were about 1/4 inch apart. On all bands below 10 meters the HRO dial is easily resettable to within a KC (or KHz). Our ace correspondent in Dayton, Bob Crane W8SX, caught up with Paul Darlington M0XPD (above, the guy with the rifle) and interviewed him about his presentation at Four Days in May 2016. You can listen to the interview here by clicking on the link below. I especially liked the comments on the joys of fixing things and the advantages of SIMPLE analog circuitry. Listen to the end and you will learn about Paul Darlington's connection to the famous Darlington Pair. Thanks Paul! Thanks Bob! And thanks to George Dobbs and William of Occam! Narrow Band FM on 160 Meters? Using SSB phasing rigs? On the G-QRP mailing list our British cousins are discussing the use of Narrow Band FM on Top Band. 160 meters has long been used for day-time local "chin wags" in the UK. Noise, of course, is a factor to consider on 160. FM would take care of the noise problem. I was wondering if this would be legal in the USA. This is the kind of question that seems to provoke passionate, sometimes angry reactions. I think the answer depends on the resulting bandwidth of the signal. Title: RE: Narrow Band FM is it legal below 30 MHZ. Yes - NBFM is legal. This is actually a hold over from long ago equipment. Back in the olden days phasing SSB exciters could also be adjusted to produce NBFM. It's a little different than modern FM, in that the signal looks just like an AM signal, except the phase of one of the sidebands is 180 degrees reversed compared to the AM equivalent (doesn't matter which sideband). This gives an angle-modulated signal with +/- 45 degrees phase variation, but also 3 dB of amplitude variation. While we don't normally like amplitude variation on an FM signal, it has the effect of preventing the generation of the higher order sidebands that true FM produces. A receiver than has a limiter stage doesn't care that much. The result is that the old phasing exciters could produce this different kind of Narrow Band FM (probably the true meaning of NBFM long ago) that had the same channel width as AM, and a modulation index that's well below 1. Such a signal is compliant with current FCC regulations on HF bands. The relationship to the orbits of the outer planets is especially intriguing. 40 is the new 17 my friends. And 160 is looking good. 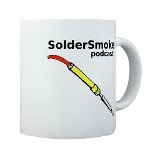 SolderSmoke Podcast #188 is available. Who sold Bill the hombrew SWR meter at Manassas? No store-bought, appliance, CB-ish Radio Shack SWR meters for the OM who built the SWR sensor on the right. No! He rolled his own center conductor and pick-up loops. Dennis Klipa and I have been exploring the theory behind SWR meters, so when I saw this thing, I immediately went for it. I picked it up at the Manassas Hamfest. I kick myself for not asking the seller for the story behind this project. If anyone has any ideas on how/why/who built this thing, please let me know. The seller was tailgating close to the stables at Manassas on June 19, 2016.